D.R. 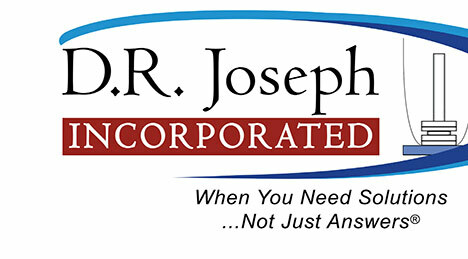 Joseph provides solutions to maximize the efficiency and productivity of your blown film extrusion processes, helping you keep focus on your bottom line. D.R. Joseph offers a convenient one stop solution for those interested in operational training and testing in blown film technology. The DRJ Lab is a dedicated 800 square foot purpose built facility outfitted with state of the art equipment designed for research and development in blown film extrusion. At the center of the facility available for lease is a lab scale 3 layer blown film line with many of the features found in a full scale line. Training and R&D efforts are much more economical on the lab’s 50mm die, and allow operators to better observe the blown film processes as a whole. Click here to see a list of the QC and test equipment currently available for use in the DRJ Lab. 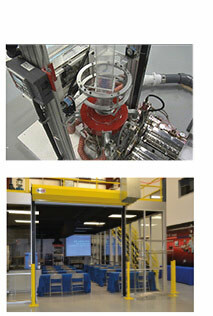 DRJ also hosts a number of training seminars throughout the year in the lab. Check out our Events Page to see a schedule of seminars hosted, and learn more about what will be discussed. The D.R. Joseph IBC Control System provides the tightest layflat control in the industry, helping converters to increase time in production, extrude at profitable rates and reduce scrap, saving both time and money. The 3rd Generation IBC Controller streamlines and automates one of the most complex operations of blown film extrusion, the result is a fast payback and reliable operation. The D.R. Joseph LF-Sizer, Automatic nonIBC Width Controller employs ultrasonics coupled with a pneumatic controller to automatically control the layflat width of nonIBC blown film production, improving saleable production, and reducing the amount of runaway resin that eats away at your bottom line. The D.R. 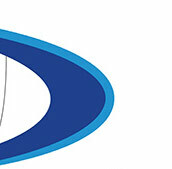 Joseph Seal-Cut offers an innovative solution for "2-Up" machine directional sealing. The Seal-Cut is an excellent choice for applications where consistency, strength and clean seal edges are a top priority. Visit D.R. 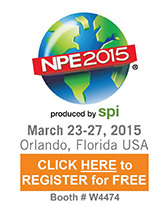 Joseph at NPE 2015 by clicking the logo to the left for your free guest pass to the show. All of our products will be on display, we will be happy to discuss how we can make one of our solutions work for your company.